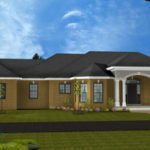 You will work directly with our staff as the design for your new home evolves from concept to Construction Documents. First, we will define the scope of the project. From there, our designers visit the site, familiarize themselves with all applicable codes (zoning, building and neighborhood design) and start on the conceptual design. 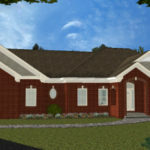 Working one on one with the Architect, your plans will evolve into preliminary design drawings, including floor plans, the front elevation and a 3-D color rendering. 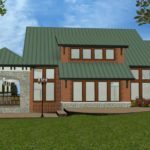 If your property falls in a neighborhood with an architectural review committee, Brendel Architects will submit preliminary plans to assure the house meets the design requirements established by the community. 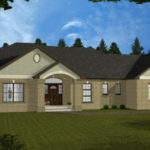 Once the preliminary design is approved by both you and any other required review committee, the project will move into the construction document phase. 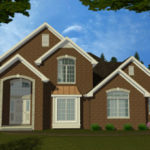 All of our projects are drawn using a CADD (computer aided drafting and design) program to assure accuracy and the highest quality drawings. If structural engineering is needed beyond our capability, we coordinate with the engineers to assure smooth sailing during construction. Our goal is to create a house that truly is your home. Discuss the scope of your project. Provide rough estimates of our fees for services. Discuss your ideas, lifestyle, and wish list. Ask questions like: Do you entertain? Do you want a media center? Office? Outdoor kitchen? We get to know you as a client so your dreams become reality! We will visit the site and observe existing topography, utilities, easements, etc. Special attention will be given to capture the best views, utilize summer breezes and block winter winds. 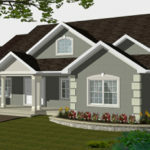 You will receive scaled schematics of the floor plans & front elevation. 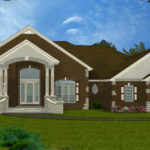 We also supply several 3-D views of the exterior of your project. These are for you to take home, look over, draw on and give us your input. We suggest that you go through your daily routines in the new spaces to be sure the home flows with your lifestyle. After you have studied the Preliminary Design and have gathered your comments and questions, we will schedule a conference to go over them in detail. We want to be sure the design meets your needs. 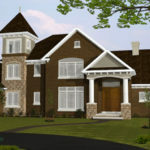 Once the plans are finalized, we expand the drawings to include all exterior elevations and develop the site plan. At this stage the design is nearly complete and the CADD Operators begin work on the Construction Documents. We will design the structural skeleton of the building, develop construction details and layout the electrical components. Work will also begin on the foundation plan, roof framing plan, dimensions, and specifications. 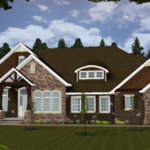 You will receive a final set of drawings which includes a site plan, foundation plan, floor plans, roof plan, elevations, details and/or sections, specifications, electrical plans, etc. This is for your final approval before printing and bidding. Together, we will select a General Contractor. Our goal is to see your dreams become reality.